B-MOVIE is a documentary about music, art and chaos in the Wild West Berlin of the 1980s: the walled-in city which became the creative melting pot for a special kind of sub and pop culture, attracting ingenious dilettantes and world famous celebrities alike. However, before the iron curtain would fall, artists and communards, squatters and hedonists of all kinds would enjoy Berlin’s unconventional lifestyle. It was not about long-term commercial success, but about living for the moment – the kick – the here and now. With mostly unreleased TV and film footage, photos and original interviews, B -MOVIE tells the story of life in the divided city, a cultural interzone in which everything and anything seemed possible in a place unlike anywhere else in Europe. It’s a fast-paced collage of stories from a frenzied but creative decade, starting with punk and ending with the Love Parade, all from a city where the days are short and the nights are endless. This is a time when Berlin was like a B-MOVIE: colourfully cheap and trashy, threatened and thrown together, anxious and ambitious, clubbed and caned, stoned and strung out, drunk, drugged and – just very special. Starring: Mark Reeder, Gudrun Gut, Annette Humpe, Blixa Bargeld, Nena, Nick Cave, Westbam, Joy Division, Zazie de Paris, Die Toten Hosen, Der „wahre“ Heino, Einstürzende Neubauten, Die Ärzte, Die Unbekannten, Malaria!, Notorische Reflexe u.v.a. 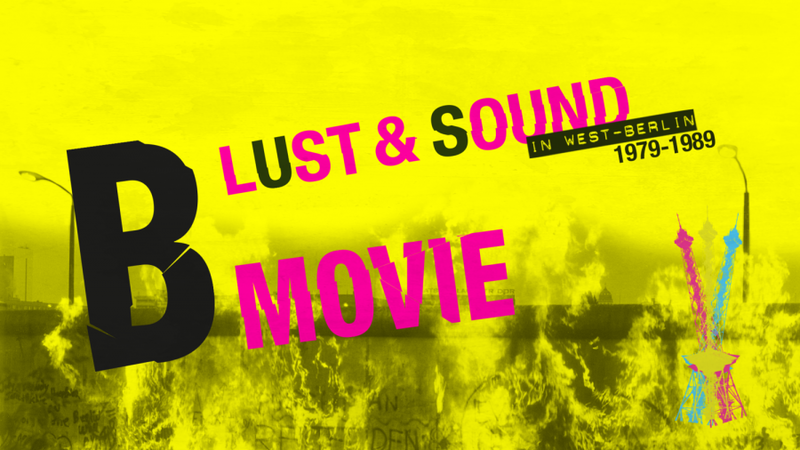 B-Movie: Lust & Sound in West-Berlin (1979-1989) – Official Trailer from scenes from on Vimeo.